April showers bring May flowers, that’s what they say anyways. Let’s hope so because I sure am sick of the decidedly un-spring like weather we’ve been having here lately. This is probably one of my most favourite photographs I have ever taken. 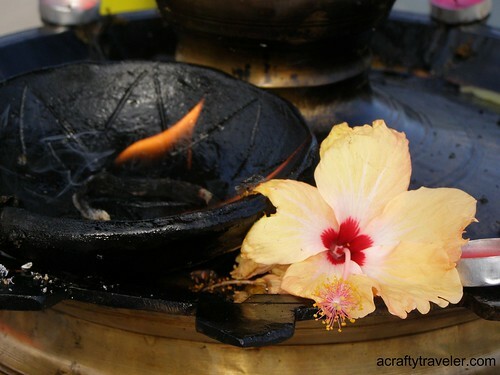 This delicate hibiscus flower was just perched on the edge of an elaborate brass candle holder at the Sri Siva Subramaniya temple in Nadi, Fiji – soon to be wilted by the tropical sun or engulfed by the nearby flame. A moment in time that brings the sights, smells, and feeling of Fiji back to me still, five years later. That sums it up pretty perfectly!